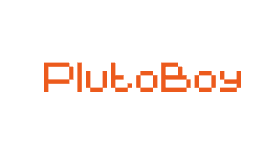 PlutoBoy v1.3 by RossMeikleham - PSVita Brewology - PS3 PSP WII XBOX - Homebrew News, Saved Games, Downloads, and More! A multiplatform Gameboy and Gameboy Color emulator for Windows, OSX, Linux/Unix based systems, Android, iOS, Web Browsers, Sony PSP, and PSP Vita. Joypad support from Keyboard, and touch screen controls when using SDL2. Rendering screen contents after each scanline. After all scanlines have been rendered the screen is displayed/updated using SDL. Saving SRAM to and loading SRAM from file for games that support it. Support for Real Time Clock for MBC3 + HuC3, rumble for MBC5. MBC6, MBC7, TAMA5, and Gameboy Camera Memory Controllers. Fixes for graphical glitches and bugs in some ROMS.